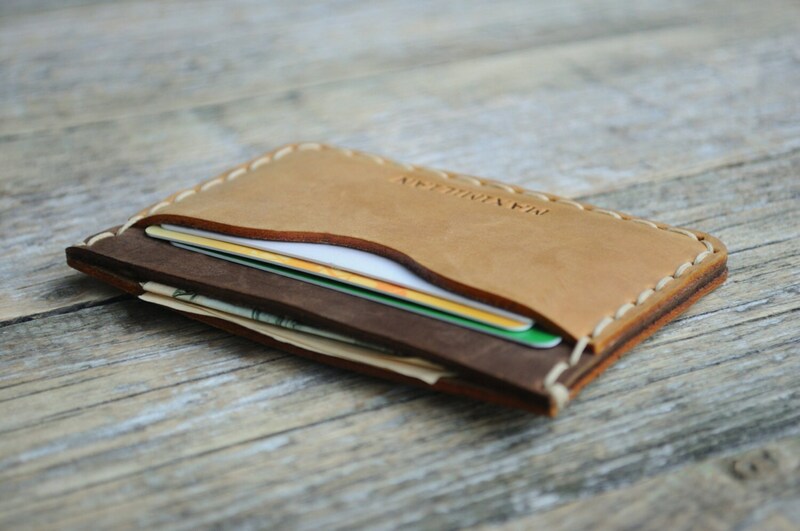 Light Brown Leather Wallet. PERSONALIZED Brown Detail Inside Cover. Credit Card Cash or ID Holder. Rustic Style Unisex Pouch. 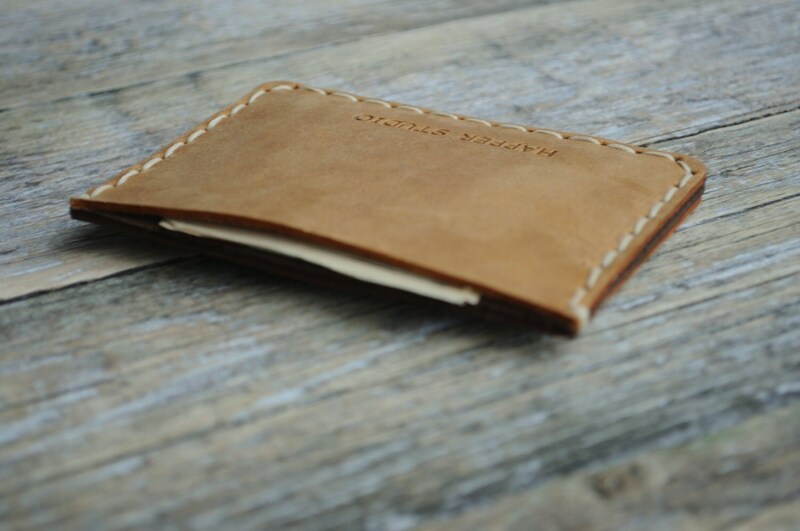 This pouch has been made from quality cow leather that will prove to be durable and long lasting. Not only will this pouch be useful for your everyday needs, it will also look impressive in the process. 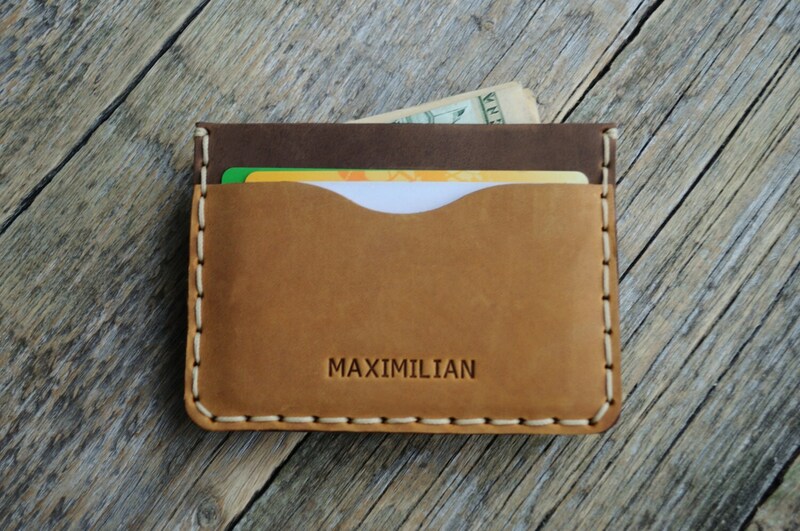 The brown colored leather inside the cover adds an additional element to the aesthetic of this pouch. Love it! Stylish, beautiful quality, great functionality and quick delivery. Shipped at time, and thx took into account my wishes!